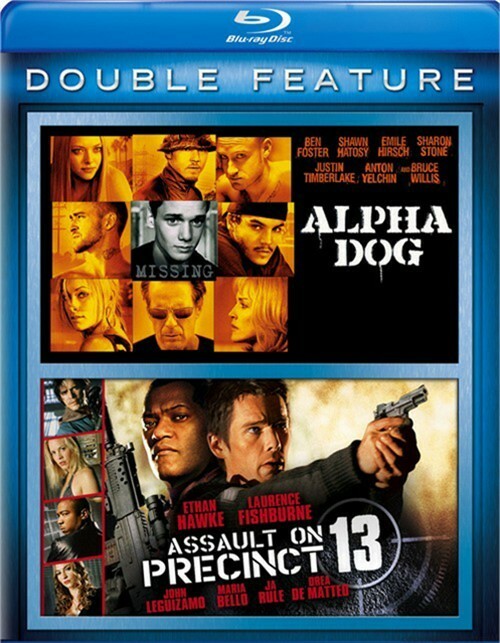 Ethan Hawke and Laurence Fishburne lead an explosive, all-star cast, including John Leguizamo, Ja Rule and Drea de Matteo, in the gripping, action-packed thriller, Assault on Precinct 13. Run-down Precinct 13 is closing its doors forever. But everything changes when a high-security prison transport bus arrives with some of Detroit's most lethal prisoners. Soon, the only thing more dangerous than the criminals on the inside is the rogue gang on the outside. And if they're going to survive the night, two men on opposite sides of the law will have to work together to battle an enemy who doesn't follow the code of cop or criminal. Length 3 hrs. 47 mins. 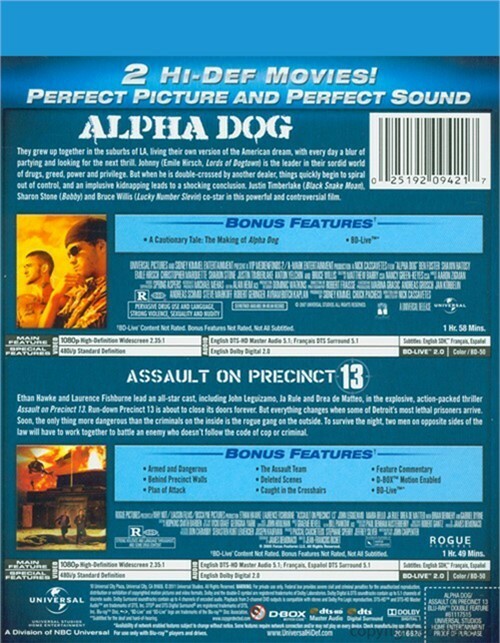 Review "Alpha Dog / Assault On Precinc"
Reviews for "Alpha Dog / Assault On Precinc"